Matzo ball soup is a traditional Ashkanazi Jewish dish made from a meal of matzo, the traditional unleavened bread eaten during Passover. Traditionally, the matzo meal is combined with eggs, and “schmaltz” (chicken fat) and cooked in a chicken stock with vegetables. My version is vegetarian with an amped-up amount of herbs. Winter is soup season, and this one is a crowd-pleaser. 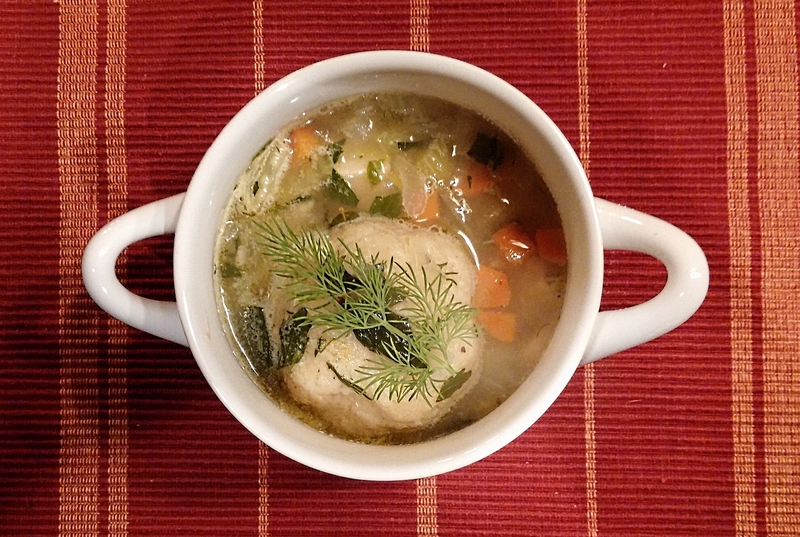 If you haven’t tried making matzo ball soup, you should. It’s delicious and couldn’t be easier. When paired with a salad, it makes a great weeknight dinner.